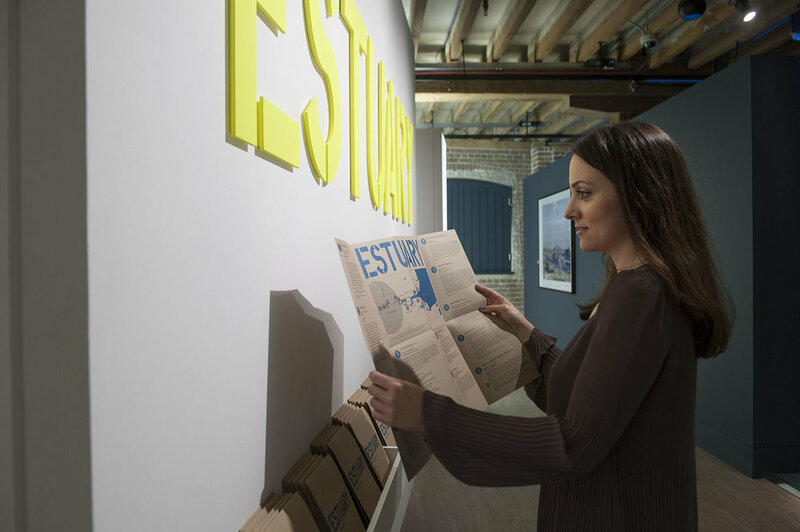 An exhibition evoking the landscape and culture of the Thames Estuary. 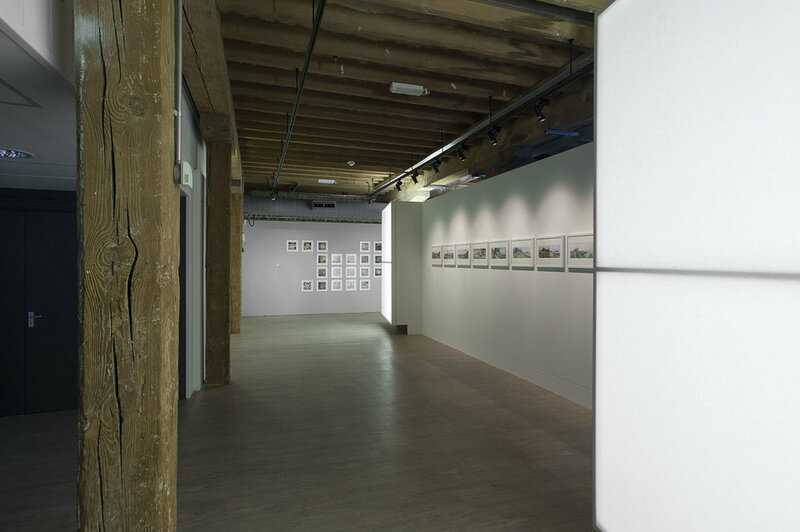 The work of 20 different artists was brought together in the gallery of London’s last surviving wharf-side warehouses run by the Museum of London. 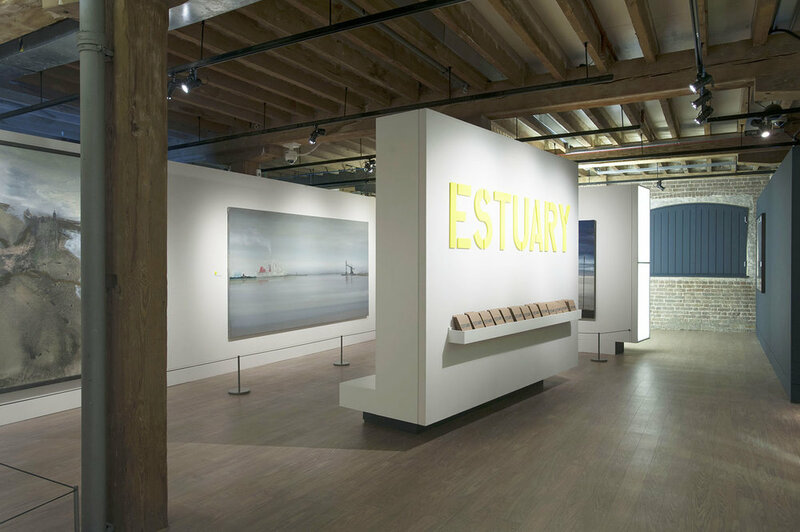 The immersive and contemplative exhibition created a consistent horizon of artists’s views of the estuary and was lit with a flat “foglike” lighting scheme. 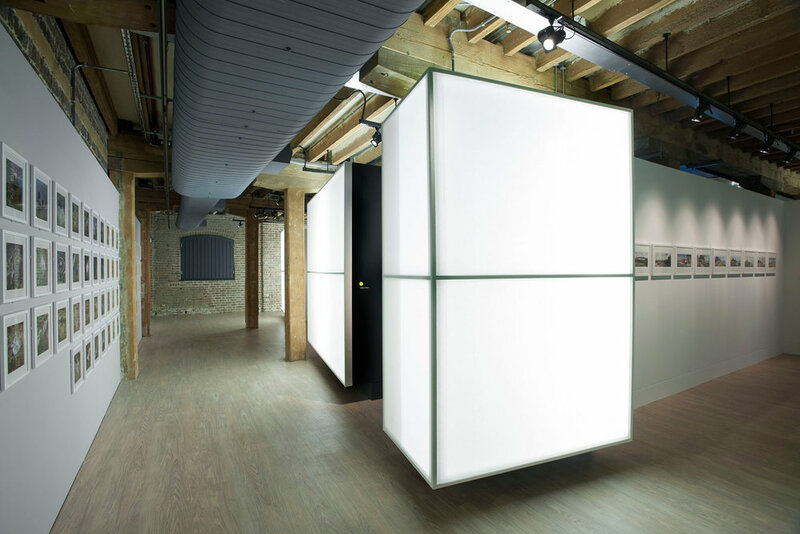 We worked to design a exhibition that did not physically touch the grade 1 listed building but created discreet spaces for each exhibit and soundproof rooms for films. Walls of backlit stretched gauze simultaneously created spaces and illuminated the space. The exhibits were positioned in corresponding order to their estuary location. A fold out map guided visitors as if they were outside in the estuary landscape. The exhibition brought a new artistic audience and Londoners to the building which is more conventionally used for historical displays focused on visiting tourists. 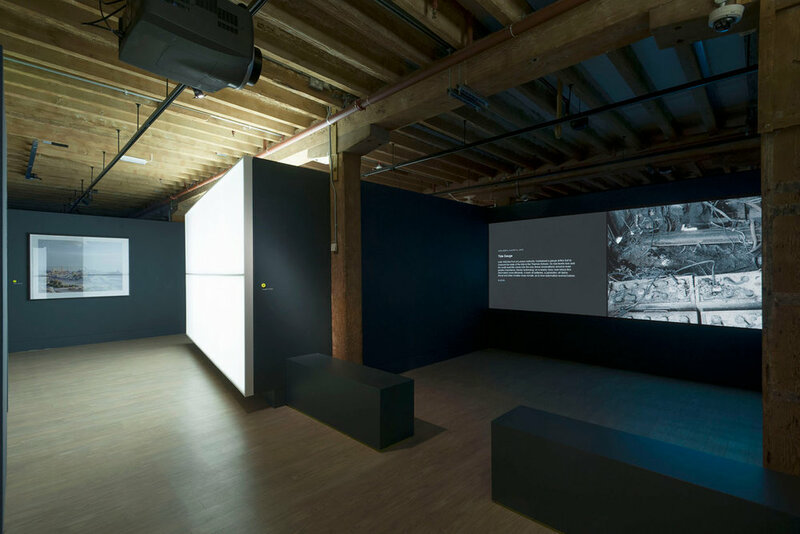 "A strong example of experiential exhibition design…The actual design and build of the show itself plays a vital part in its ability to engross the viewer."